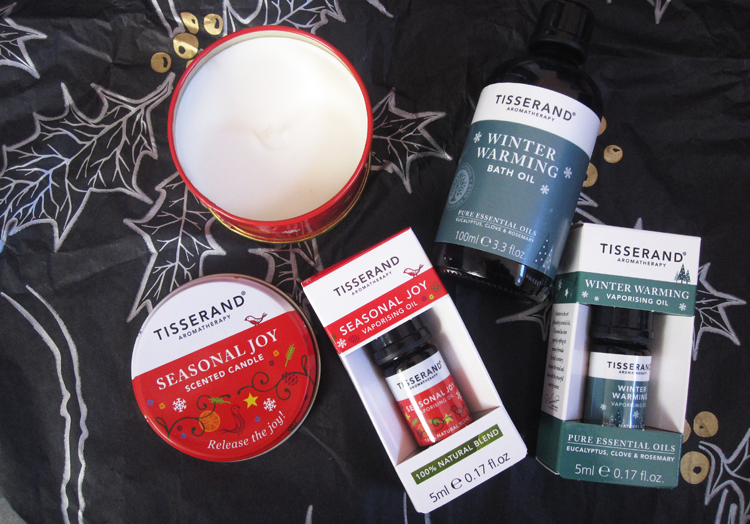 Whether you're into aromatherapy or not, Tisserand's Christmas Collection this year is sheer pleasure for the senses. These are all ideal small gifts or stocking fillers for vegan/green beauty friends, and everything is under £13. 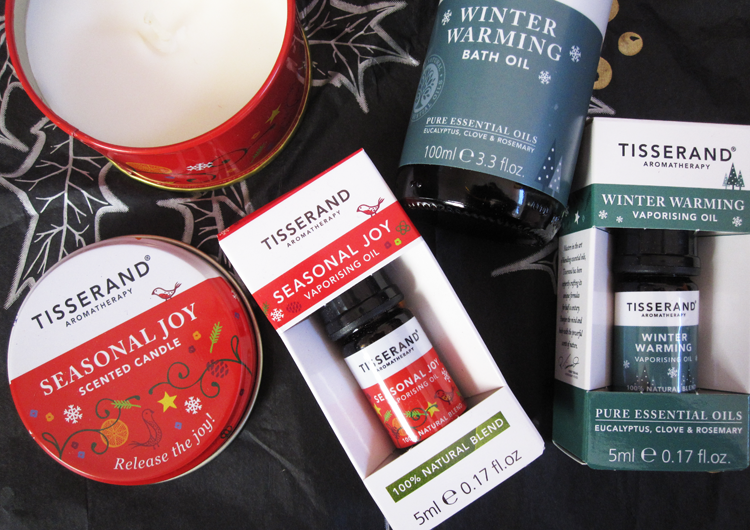 I always say this, but I absolutely love giving and receiving candles at Christmas, and Tisserand's Seasonal Joy Candle comes in lovely, bright red festive packaging. The scent can only be described as that tired old cliche 'Christmas in a Candle' but it truly is with its 100% natural blend of warming Nutmeg, spicy Cinnamon, uplifting Sweet Orange and aromatic Clove pure essential oils. The candle itself is made from vegetable wax and burns for around 15 hours. I love it! If you prefer to use oil burners, you can get the same above Seasonal Joy scent in a Vaporising Oil format instead. Just add 5-10 drops to your oil burner or vaporiser and your whole room will smell of that warm, spiciness of Christmas time. For a totally relaxing pampering treat, this Bath Oil will help to soothe away any stresses and strains and gently warm your body in the process. Perfect for those evenings when you've just come back home and it's freezing outside! Made from a 100% natural blend featuring a base of Coconut, Sweet Almond and Jojoba Oils, expertly mixed with several pure essential oils such as Eucalyptus, Clove and Rosemary. Like all bath oils, a little goes a long way with this so you're sure to get many, many baths from just one bottle. To seriously intensify your bathroom experience, you could double up on that gorgeous Winter Warming scent and use the matching Vaporising Oil at the same time. Or save it for any occasion where you want to feel comforted and all cosy at home. Are you a fan of Tisserand's aromatherapy products?